Weather Breezy starting tomorrow morning and foggy tomorrow night. 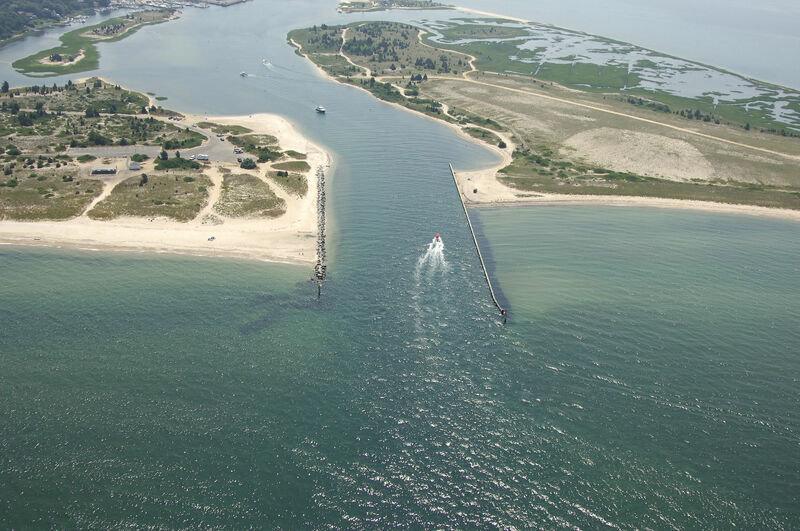 Threemile Harbor is a well-protected bell of water on the southern portion of Gardiners Bay. Threemile Harbor is 18 miles west of Point Montauk, nine miles south of Plum Gut and just around the corner from Sag Harbor. Inside Threemile Harbor is an excellent array of some of the best marina facilities in the area, all tucked in a well-protected harbor. Next, the harbor breakwaters are marked with a quick flashing green light (unnumbered) to starboard, and a quick flashing red light (unnumbered) to port. Inside the breakwaters, the channel has six foot depths, and this trend continues on down the passage for about a mile. 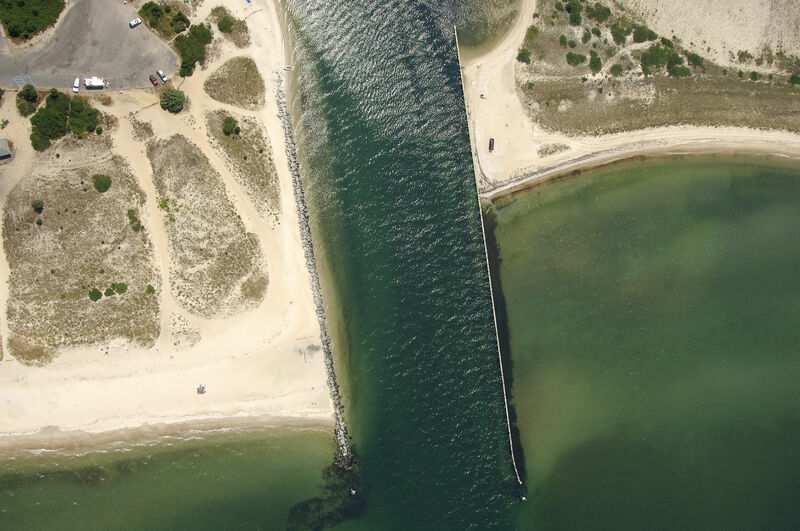 The channel tends to favor the port side of the channel on entry, but there are no charted aids to navigation to specifically guide you in. If in doubt, follow one of the locals in. Six- to ten-foot depths open up once you arrive at the town os Threemile Harbors waterfront. 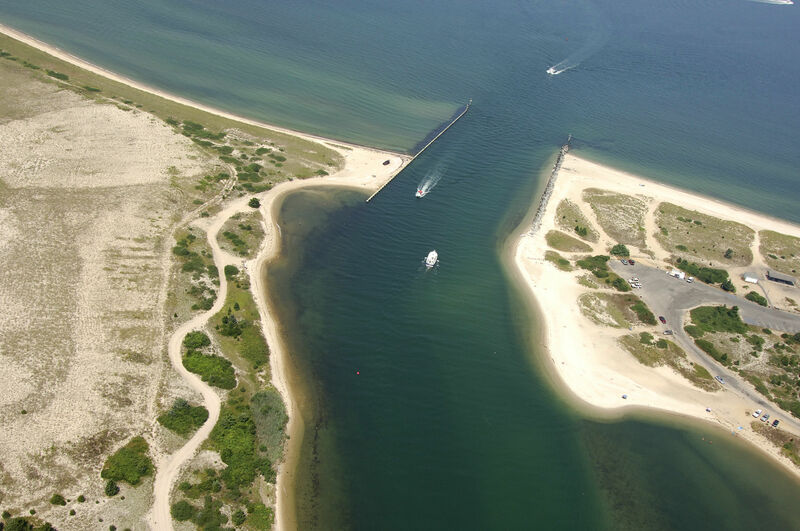 The west side of Threemile Harbor shallows to depths of two to three feet, and because of this, all of the marinas and marine facilities are situated on the eastern and southern portions of the harbor. Eleven facilities line the shores, with repair yards, yacht clubs and marinas making up the mix (all of them top-rate facilities). It is easy to find a slip for the night, and there is also an open, but good anchorage just west of the towns waterfront in 10-foot depths. Keep in mind that this is a No-Discharge Zone; all effluent must be kept in a holding tank. No reviews yet! Be the first to write a review of Threemile Harbor Inlet.